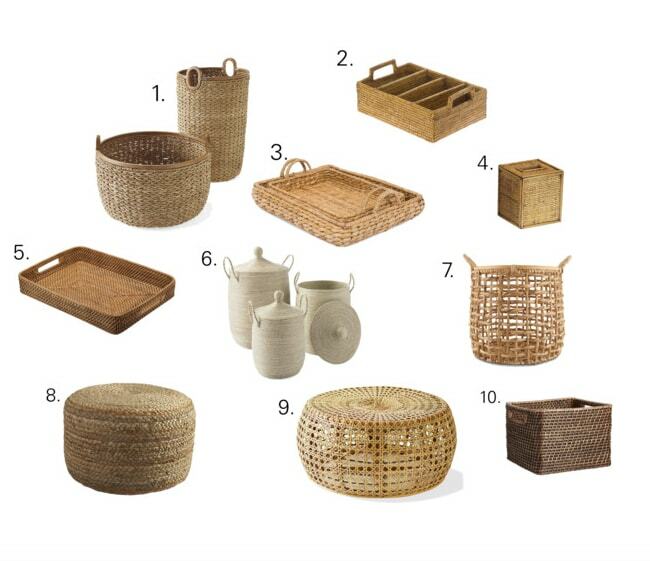 29 wicker and rattan pieces for your home. 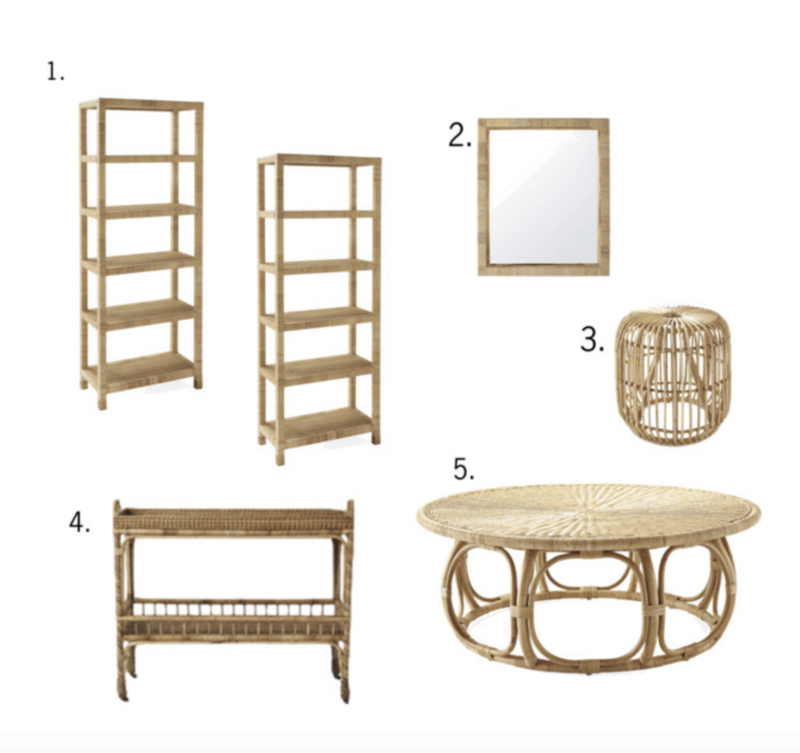 Wicker and rattan is having a big moment in homes and spaces everywhere. It’s the perfect way to relax a room. I’ve always loved an eclectic style. I think partly because I can’t quite commit to just one style. 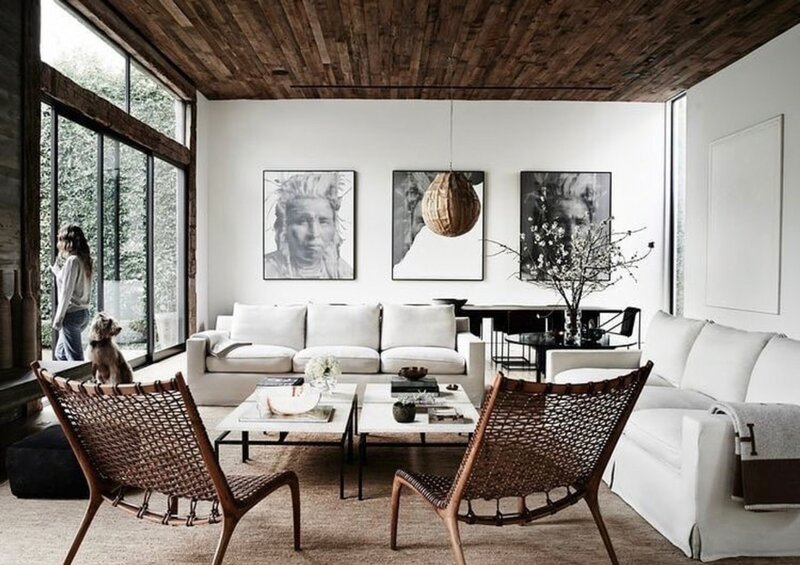 I love modern and contemporary, but I also love the more relaxed vibe of a bit of bohemian too. I think they can both work well together and compliment each other beautifully. Since starting working at Serena & Lily over a year ago I’ve seen how it’s done using one or two pieces mixed with modern or traditional to create a one-of-kind room. 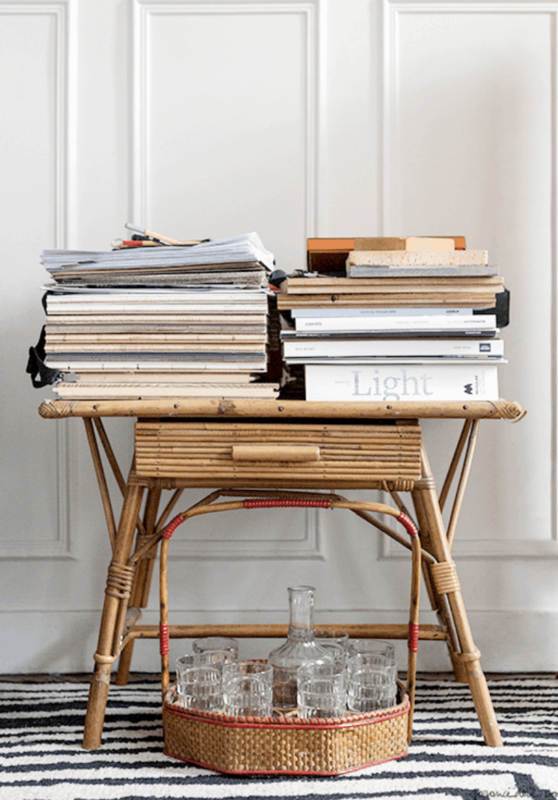 Adding a rattan coffee table instantly adds warmth and a bit of casualness to a space. 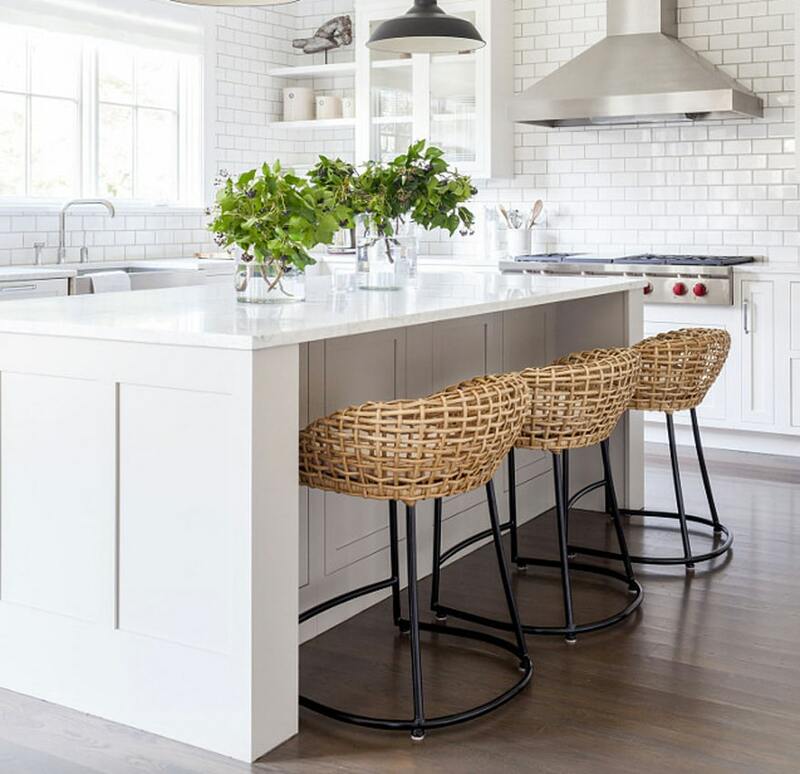 Chairs and bar stools can really add that bit of texture and warmth from the natural color to a white kitchen. Or a bed frame with a modern nightstand. Even just adding mirror, a basket or pendant adds some warmth and interest to a space. 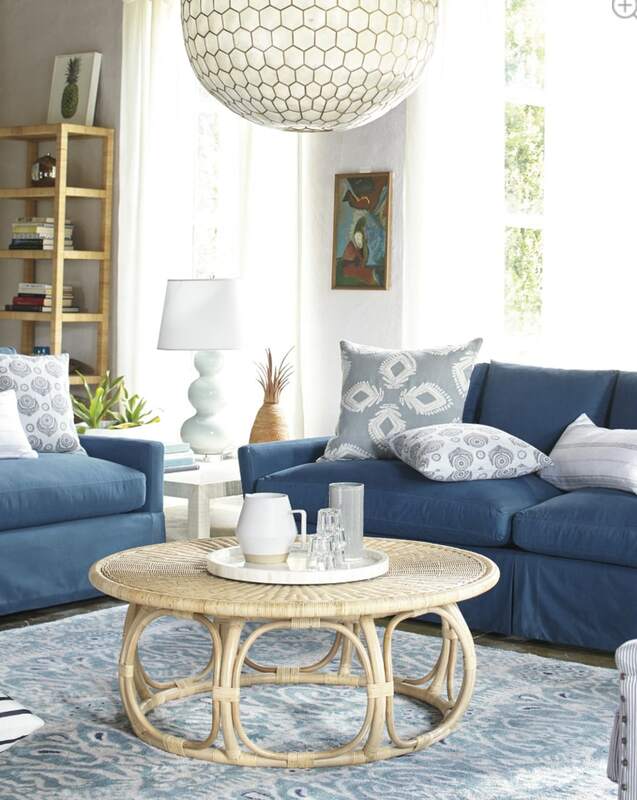 The Anguilla Coffee Table from Serena & Lily is one of my favorite pieces. It makes any room feel a little softer and take you back the the 1960’s. I adore the Venice chair from Serena & lily. I think the name says it all! 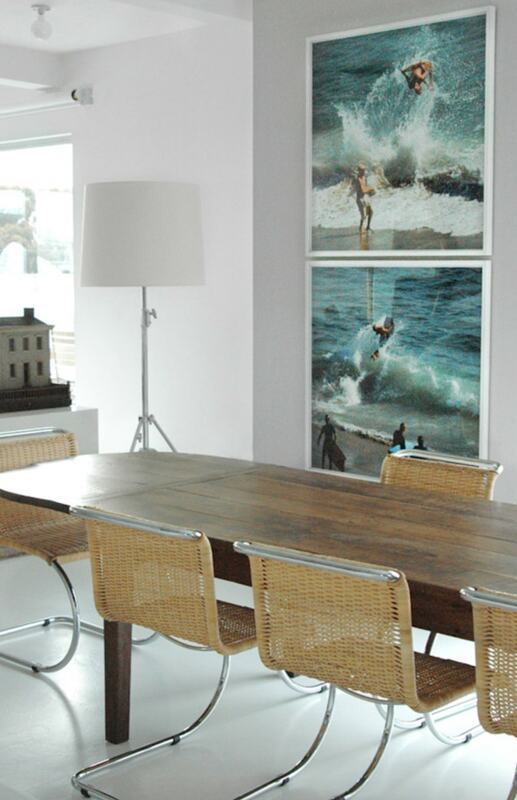 It adds a little artistic charm to any space. 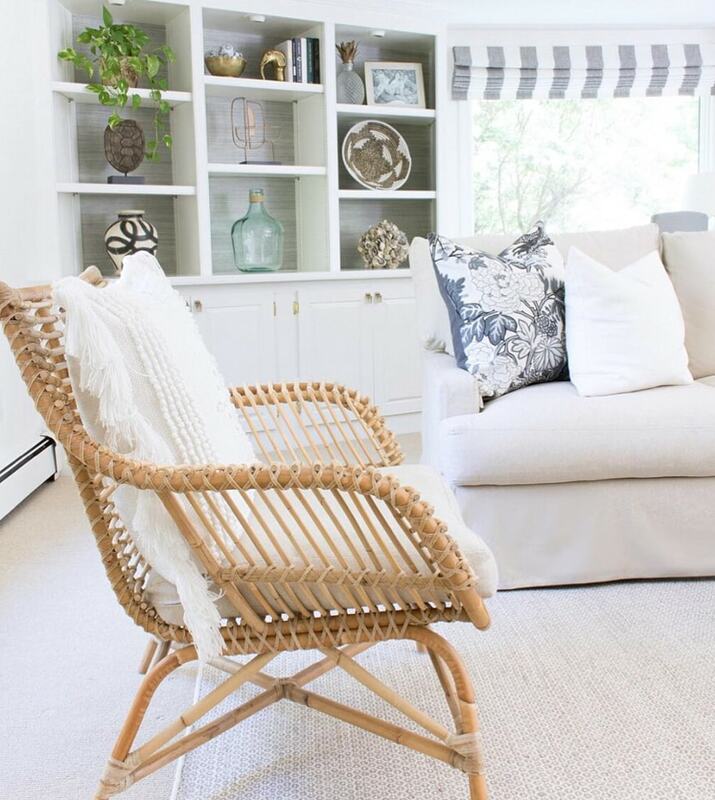 Kris added the Venice chair in her family room and it’s just the touch of rattan this space needed. Kris did her family room for the One-Room Challenge and it’s hard to believe the before when you see how light and bright it is now. 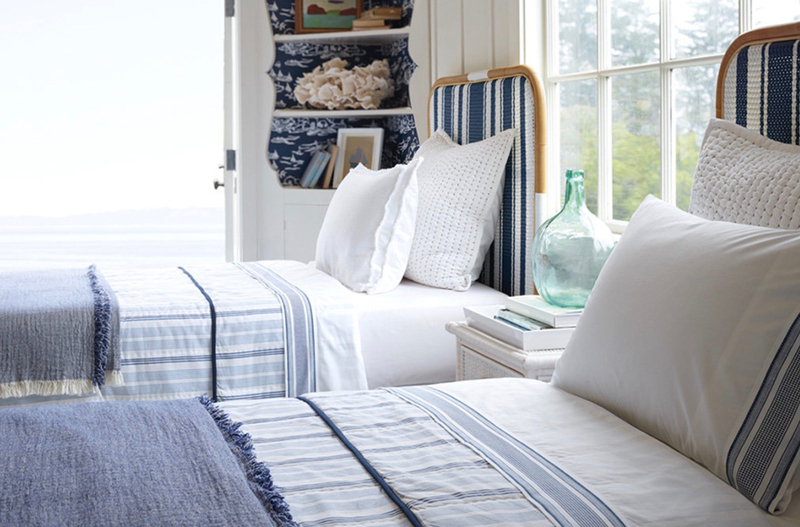 The Riviera headboards are perfect for a beach house or just about anywhere if you like stripes! 1. // 2. // 3. // 4. // 5. //6. 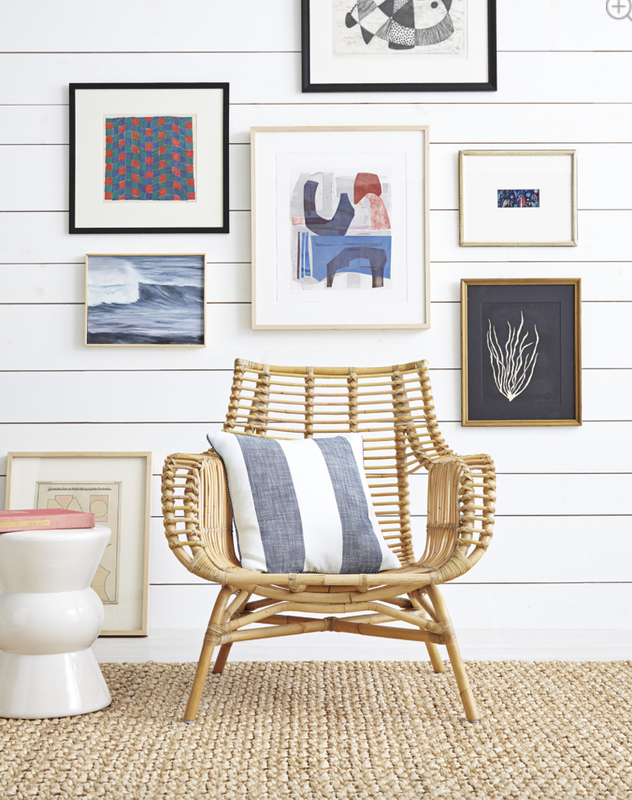 If you’re not ready to commit to larger items like a headboard or coffee table—there are lots of ways you can add rattan in every room of your house. Trays in the kitchen and living spaces on ottomans, baskets in the laundry room and family room for toys or even a tissue box holder in your powder room. 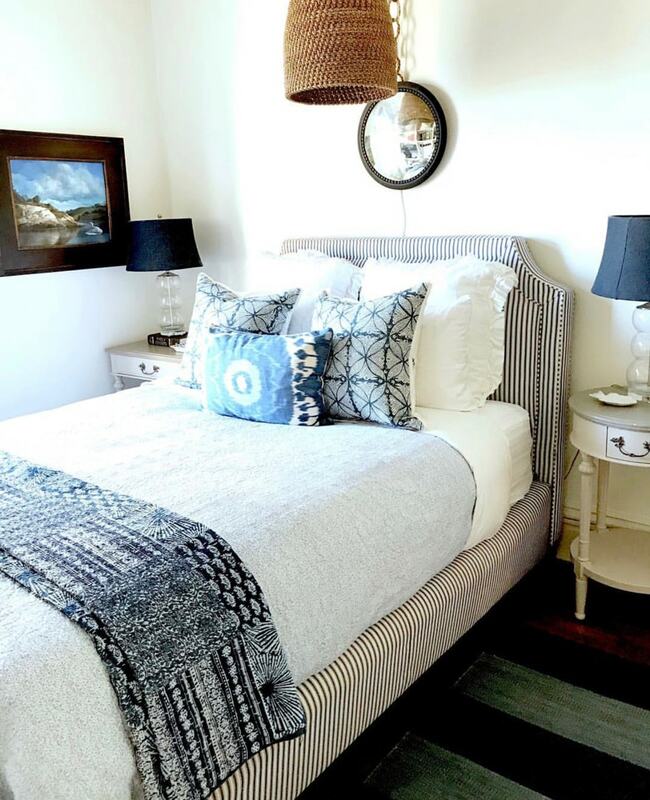 Or add a pendant like Mary Ann did in her San Francisco guest room. 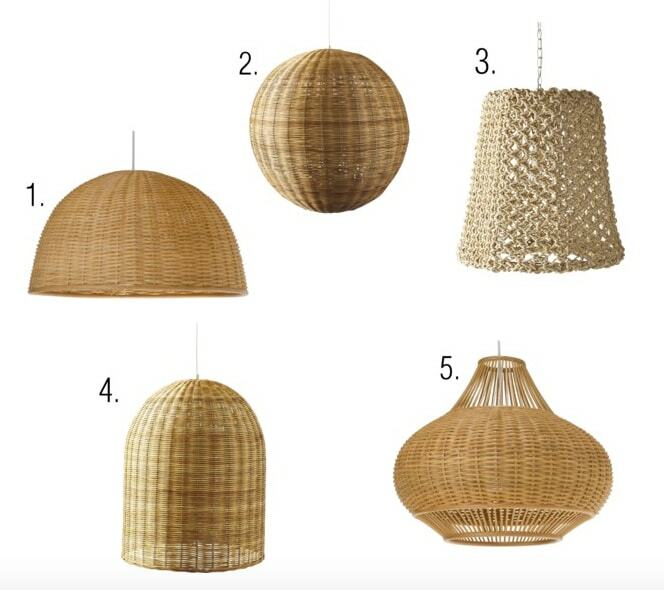 There are so many great options for wicker and rattan pendants at very reasonable prices. 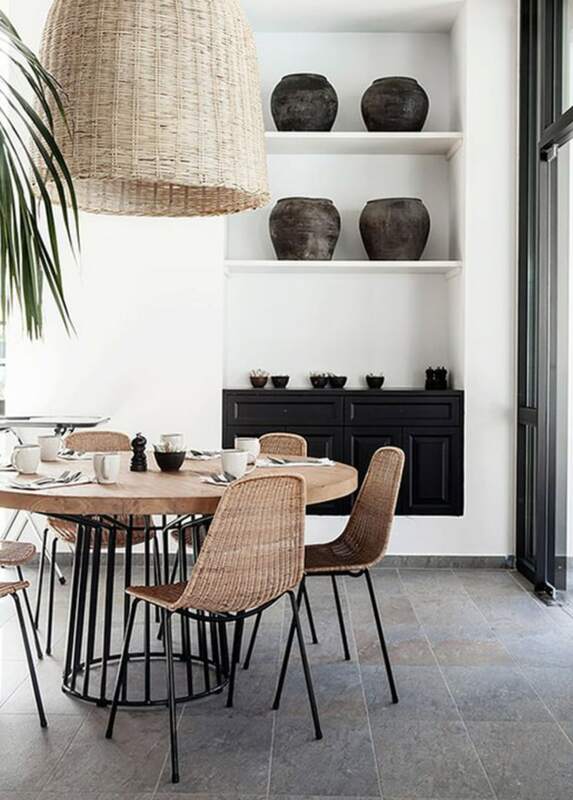 There are many shapes and sizes that are perfect in a dining room, kitchen nook, entry or even in place of a bedside table lamp. 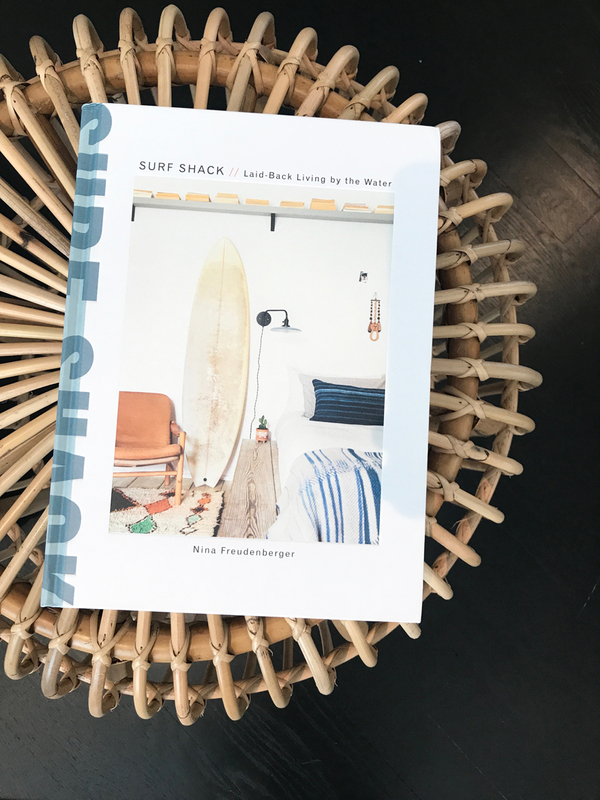 The Pismo rattan side table from Serena & Lily shown with the new Surf Shack by Nina Freudenberger. 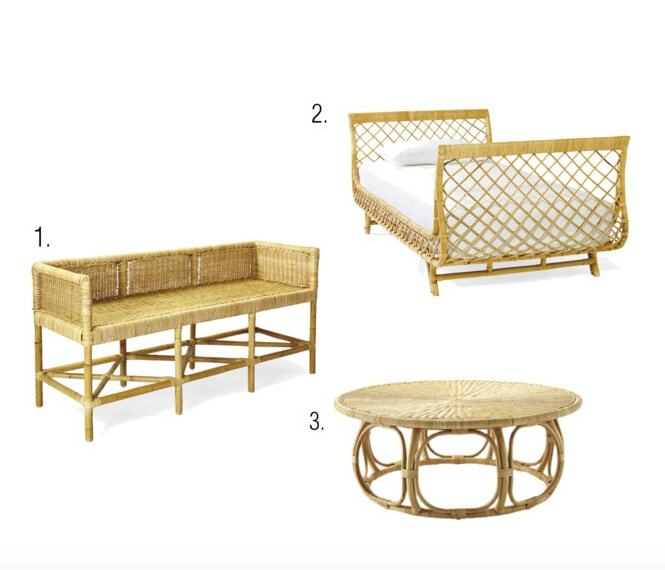 These are three of my favorite rattan pieces and all from Serena & Lily. 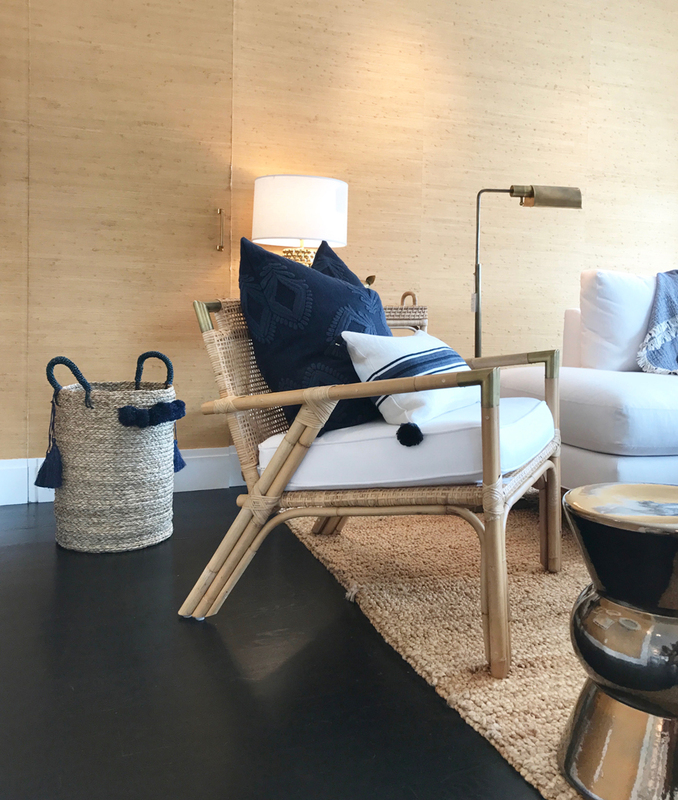 The new Shore Bench, the Avalon Daybed and the Anguilla Coffee Table. 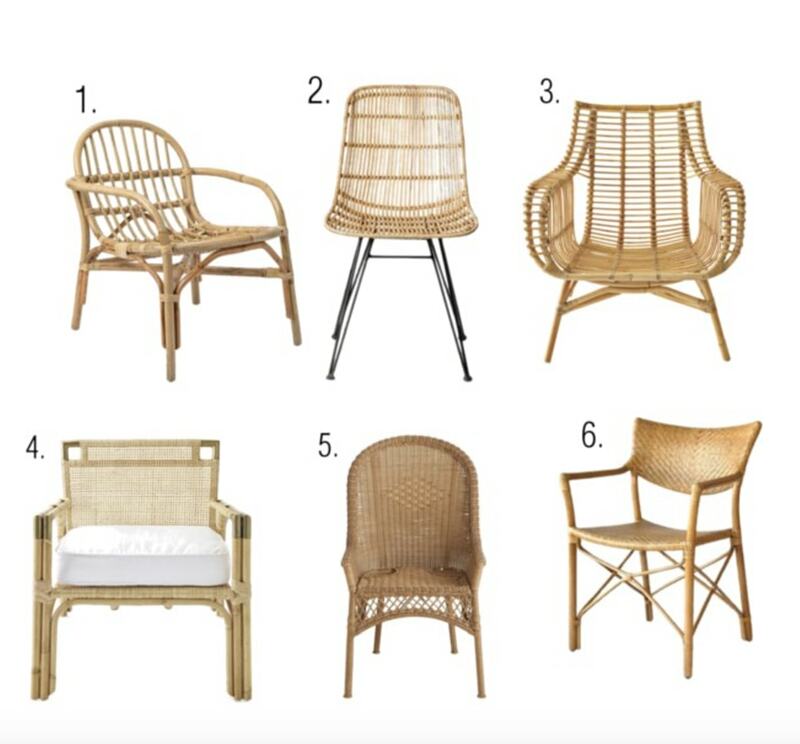 So how do you feel about rattan? Do you love it? Hate it? I think I’ve always loved it and now I am embracing it more than ever! Hey, Annie, thanks for featuring my guest room…which is YOURS anytime you come out. This is a very thorough and fun post. Love the chairs. I was just at Dovetail in L.A. this morning and saw some fun rattan. Then, I drove through your old stomping grounds on my way to S. D.
Loved this post Annie and your style. Thank you Jan! Hope you have a great weekend! This is giving me so much home decor inspo RN! Love love love a good touch of wicker! I’m so happy to hear that Lacey! Thanks for reading!